Many will find Frostbone to be a most troublesome opponent. Fast-paced and with impressive area-of-effect skills, her Frost Bow sets loose razor sharp arrows imbued with deadly cold that paralyzes opponents. Frostbone can also launch a succession of barrages that will leave her targets rooted to the spot and howling in pain. Any opponent who tries to get close will find themselves trapped by her deathly aura. Nobody knew when the silent Shura Sentinel arrived in the Contested Lands, but everyone understood her message clearly: Don't mess with this one. Passive: Nimble Archer Frostbone's basic attack can gain stacks of accelerated attack speed. While using skills, try to gain basic attack stacks to boost her attack speed. Skill 1: Freezing Arrows Frostbone's skill 1 allows her basic attack to inflict Slow on her enemies and buffs her attack. Very useful when chasing down fleeing enemies. Skill 2: Rain of Arrows Unleash multiple arrows in a fan-shaped area, dealing damage and slowing movement speed. Skill 3: Deathly Entanglement Fire three arrows in a directed fan-shaped area to damage and paralyze enemies. Skill 4: Storm of Arrows Unleash a continuous barrage of arrows at a circular area, dealing massive damage. The continuous damage provided by this ultimate skill is perfect for making kills. The Colosseum V has begun! My.com’s Content Creator Team: Now Recruiting! 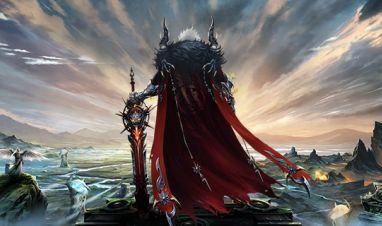 Revelation Online’s eleventh major update is going to be legendary! 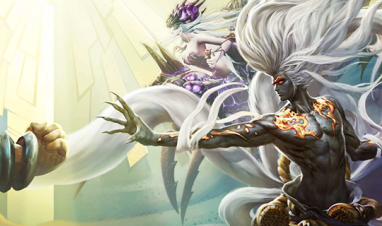 It’s time for Nuanor’s legendary champions to make their mark! © NetEase, Inc. All Rights Reserved. Published by My.Com B.V. All rights reserved.